Aren't those lovely lyric by Simon & Garfunkel? It's one of my favorite songs. We stow many of our favorite and most cherished possessions between bookends, so why not make these functional pieces slightly more fabulous than normal. Here is a collection of bookends that I am just so in love with. A great pair of book ends is a must! I've been dying to get my hands on a pair of Jonathan Adlers. ahh, i've been on the hunt for cute and quirky bookends! This is such a cute idea for a post. I love the little gold elephants with their trunks up. 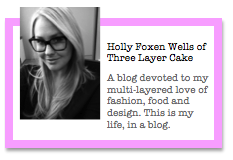 Ooh I love this post! I have had my eye on six and seven is so unique, love it. I love eight, and six. I have SO many books, I really need some beautiful bookends. Those elephants are so adorable!! Ohhh those bookends are fantastic! My favorite has to be #3! I have a pair of turquoise agate bookends that I scored for an awesome deal! I posted about them awhile if you'd like to check it out! 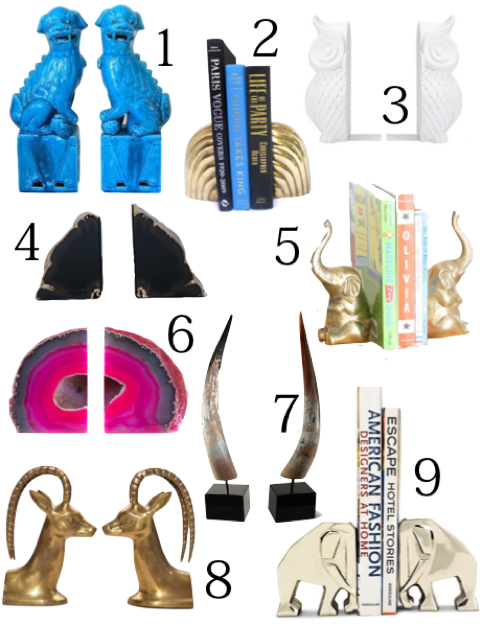 I think number 8 on your list, the gold antelope, are SO chic. I love all of these! I have elephant book ends carved from soapstone from a fair trade shop in Kenya. I get compliments on them all the time.